sterling silver, hand forged graphic flower on a sterling silver chain - The sterling toggle on the side is also hand made. Each one is made to order. 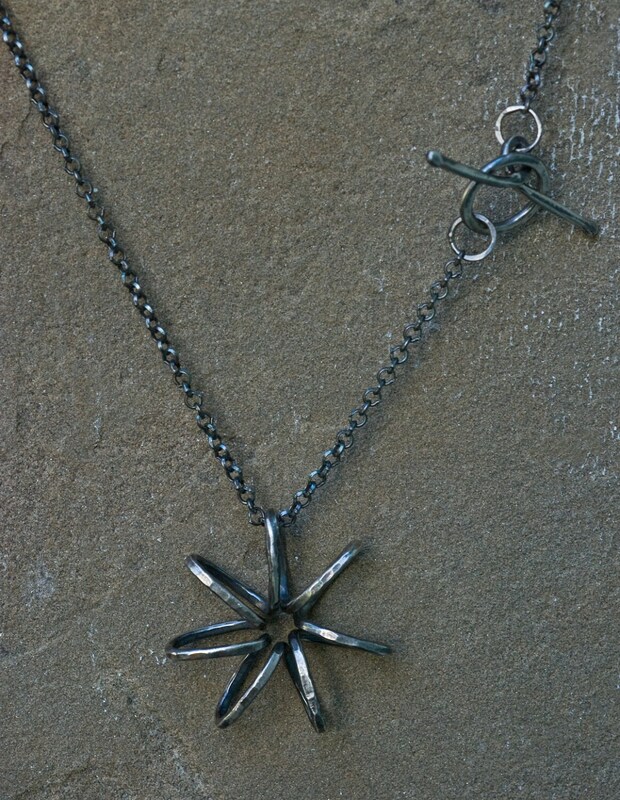 The piece pictured is oxidized. It would also be beautiful in a matte sterling. The flower measures 1.5" in diameter and about .5 in height. The necklace is 16" long.